Structural illiquidity paired with increased market volatility may create opportunities for active muni managers. The amount of muni debt held by broker-dealers has fallen significantly since the financial crisis from $62 billion to $22 billion, while at the same time muni fund assets have nearly doubled from $445 billion to $820 billion (first chart). Meanwhile, the overall size of the market has remained virtually the same at $3.8 trillion in outstanding muni debt. While these market conditions – low inventory and high demand from a primarily buy-and-hold retail investor base – are a sign of structural illiquidity in the muni market, they may offer potential benefits to long-term investors. Investment solutions with liquidity protection may guard against fast money outflows, potentially reducing the frequency of extreme portfolio price fluctuations. As the second chart shows, periods of volatility, when yields rise and prices fall, can cause significant drawdowns in municipal bond holdings. For muni managers with “dry powder” and institutional access to markets, the current, and likely continued, volatility may produce significant opportunities to capture value. Limited inventory and increasing demand have created structural illiquidity in the muni market that favors a long-term investment approach. Investors should seek active managers with cash reserves in order to capture value when volatility strikes. 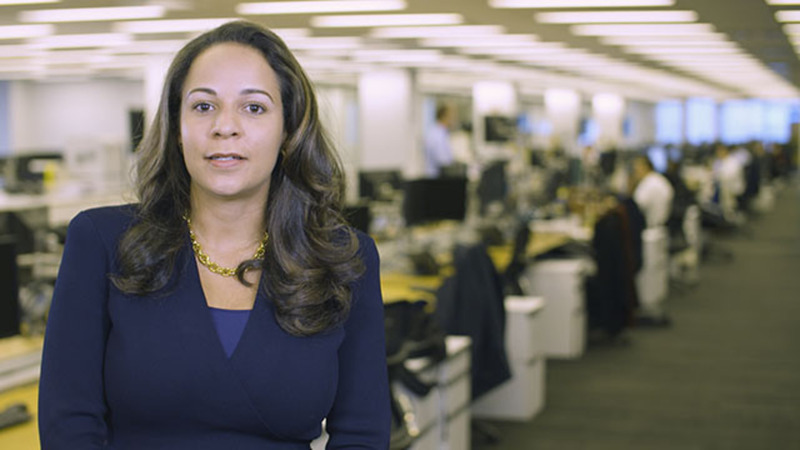 Rachel Betton, senior vice president and municipal bond portfolio manager, discusses how recent U.S. tax reform is positively affecting supply and demand dynamics in the municipal bond marketplace, creating a tailwind for valuations. Investors should consider the investment objectives, risks, charges and expenses of the funds carefully before investing. This and other information is contained in the fund’s prospectus and summary prospectus, if available, which may be obtained by contacting your investment professional or PIMCO representative, or by visiting pimco.com or pimcoetfs.com. Please read them carefully before you invest or send money. A word about risk : All investments contain risk and may lose value. Investing in the bond market is subject to risks, including market, interest rate, issuer, credit, inflation risk and liquidity risk. The value of most bonds and bond strategies is impacted by changes in interest rates. Bonds and bond strategies with longer durations tend to be more sensitive and volatile than those with shorter durations; bond prices generally fall as interest rates rise, and the current low interest rate environment increases this risk. Current reductions in bond counterparty capacity may contribute to decreased market liquidity and increased price volatility. Bond investments may be worth more or less than the original cost when redeemed. Equities may decline in value due to both real and perceived general market, economic and industry conditions. Investing in foreign-denominated and/or -domiciled securities may involve heightened risk due to currency fluctuations, and economic and political risks, which may be enhanced in emerging markets. Currency rates may fluctuate significantly over short periods of time and may reduce the returns of a portfolio. High yield, lower-rated securities involve greater risk than higher-rated securities; portfolios that invest in them may be subject to greater levels of credit and liquidity risk than portfolios that do not. Mortgage- and asset-backed securities may be sensitive to changes in interest rates, subject to early repayment risk, and while generally supported by a government, government-agency or private guarantor, there is no assurance that the guarantor will meet its obligations. Inflation-linked bonds (ILBs) issued by a government are fixed income securities whose principal value is periodically adjusted according to the rate of inflation; ILBs decline in value when real interest rates rise. Treasury Inflation-Protected Securities (TIPS) are ILBs issued by the U.S. government. Certain U.S. government securities are backed by the full faith of the government. Obligations of U.S. government agencies and authorities are supported by varying degrees but are generally not backed by the full faith of the U.S. government. Portfolios that invest in such securities are not guaranteed and will fluctuate in value. Income from municipal bonds may be subject to state and local taxes and at times the alternative minimum tax; a strategy concentrating in a single or limited number of states is subject to greater risk of adverse economic conditions and regulatory changes. Management risk is the risk that the investment techniques and risk analyses applied by PIMCO will not produce the desired results, and that certain policies or developments may affect the investment techniques available to PIMCO in connection with managing the strategy. Derivatives may involve certain costs and risks, such as liquidity, interest rate, market, credit, management and the risk that a position could not be closed when most advantageous. Investing in derivatives could lose more than the amount invested. Diversification does not ensure against loss. For risks associated with a particular Fund, please refer to the Fund's prospectus. Different fund types (e.g. ETFs, open-ended investment companies) and fund share classes are subject to different fees and expenses (which may affect performance). They may also have different minimum investment requirements and be entitled to different services. Investing in the bond market is subject to certain risks including the risk that fixed income securities will decline in value because of changes in interest rates; the risk that fund shares could trade at prices other than the net asset value; and the risk that the manager's investment decisions might not produce the desired results. Exchange Traded Funds (“ETF”) are afforded certain exemptions from the Investment Company Act. The exemptions allow, among other things, for individual shares to trade on the secondary market. Individual shares cannot be directly purchased from or redeemed by the ETF. Purchases and redemptions directly with ETFs are only accomplished through creation unit aggregations or “baskets” of shares. Shares of an ETF are bought and sold at market price (not NAV). Brokerage commissions will reduce returns. Investment policies, management fees and other information can be found in the individual ETF’s prospectus. Current holdings are subject to risk. Holdings are subject to change at any time. An investment in an ETF involves risk, including the loss of principal. Investment return, price, yield and Net Asset Value (NAV) will fluctuate with changes in market conditions. Investments may be worth more or less than the original cost when redeemed. This material has been distributed for informational purposes only and should not be considered as investment advice or a recommendation of any particular security, strategy or investment product. Information contained herein has been obtained from sources believed to be reliable, but not guaranteed. No part of this material may be reproduced in any form, or referred to in any other publication, without express written permission. PIMCO is a trademark of Allianz Asset Management of America L.P. in the United States and throughout the world. PIMCO Investments LLC, distributor, 1633 Broadway, New York, NY 10019, is a company of PIMCO. © 2019 PIMCO.